New technologies often inspire artistic innovation. Moving Pictures explores links between the earliest movies and other American visual art forms at the turn of the twentieth century. The first exhibition to integrate cinema into a history of American art, the show reveals how motion pictures impacted perception, visual representation, and definitions of reality. Films— consisting mostly of short, one-to-two minutes of “real life” footage—are installed alongside artworks, providing provocative juxtapositions and stimulating new insights into our understanding of nascent cinema as well as older mediums such as painting, drawing, and printmaking. Moving Pictures is presented in four parts: Early Film and American Artistic Traditions suggests parallels between films and time-honored genres such as landscape and marine painting. 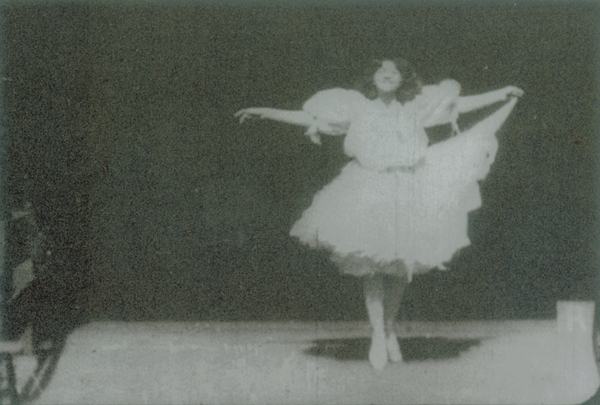 The Body in Motion examines the influence of motion photography on depictions of the human figure in art and film during the 1890s. The City in Motiondemonstrates the shift in painterly and cinematic depictions of urban life after 1900—from Impressionist visions to gritty realist depictions. Art and Film: Interactions explores the mutual fascination between fine arts practitioners and filmmakers in the early days of the new medium. Highlighting multifaceted interrelationships between movies and other visual art forms, Moving Pictures offers groundbreaking reinterpretations of this crucial period in modern American culture. Funded in part by The Henry Luce Foundation, the Eugénie Prendergast Trust, the National Endowment for the Arts, the Williams College Center for Technology in the Arts & Humanities (CTAH), H.H. Powers Fund, and the Orrin Simons Fund. The presentation at the Grey Art Gallery is made possible by the generous support of Jack and Susy Wadsworth and the Abby Weed Grey Trust. Public programs are funded by the Grey’s Inter/National Council.